Realizing that it’s inappropriate to "like" a status update about a death, illness or other sort of tragedy, Facebook CEO Mark Zuckerberg last week floated the idea of a button that would let users express empathy. Initially misunderstood as endorsement for a "dislike" button, the new mechanism is more about empathizing than criticizing. That’s good news for brands that might have otherwise braced for a torrent of dislikes. It’s perhaps even better news for brands that are seeking richer data and that want to distance their upbeat posts from a tragic situation. Either way, it could help users expand their emotional palette. "The Like button is so binary," says Ian Schafer, CEO of digital agency Deep Focus. "It’s either on or off." Schafer says an empathy button would offer a more human way for people to engage with each other. For brands, "there’s probably some interesting insights that can be gleaned from the way people respond to content that brands publish." Emily Culp, CMO of Keds, says that she welcomes another mode of expression on Facebook. "I actually think it’s all about empowering your consumer. I view it as a positive thing as a marketer and a consumer," she says. "The current gestures they have are very one-dimensional." In a Q&A this week, Zuckerberg said that the company was "very close to shipping a test" of a button that would allow for empathy. "Not every moment is a good moment, right?" Zuckerberg said. "And if you are sharing something that is sad, whether it’s something in current events like the refugee crisis that touches you or if a family member passed away, then it might not feel comfortable to Like that post." 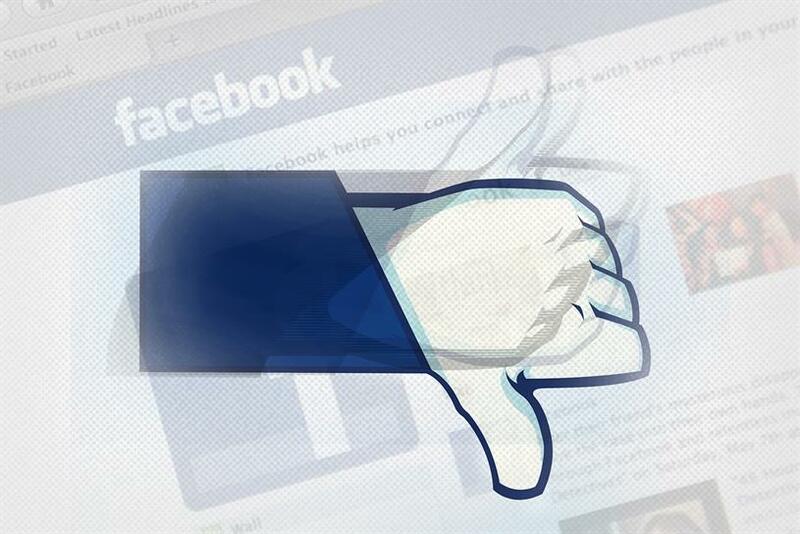 As TechCrunch hypothesized, Facebook might offer a "Sorry" button. When posting, users might have the option of replacing Like with Sorry. Facebook could not be reached for comment and hasn’t offered any more details beyond Zuckerberg’s comments. Since Likes are the prime currency of Facebook engagement measurements, marketers have been trained to try to get users to like their posts. This is especially true in the 2015 iteration of Facebook where the only brand posts you’re likely to see are ads. "As is the tendency with advertising, when you pay for something to be there, you expect it to work harder, which means you expect it to sell harder, which means you get something that people would rather ignore," says Schafer. David Berkowitz, CMO at marketing agency MRY, says that an empathy button could help allow for more nuanced communications. "It gives them the opportunity to have a different way to express themselves," he says. Berkowitz says brands often want to weigh in on issues in the news, but don’t want to be seen as like-mongering. For instance, he says that if a company that lost people in the Sept. 11 attacks, it might be very appropriate for them to comment about it on Facebook when Sept. 11 rolls around. "It would feel awkward for [consumers] to Like it, let alone share it," Berkowitz says. Culp says an empathy button would have come in handy for a recent push Keds did on Facebook around Women’s Equality Day. "Someone may just want to say ‘That’s great — I agree,’ " but not feel that the Like button sums up their feelings, Culp says. Culp admits that there are times on Facebook when she feels compelled to add something to the conversation, but finds the Like button awkward. "It is an important signal for brands that this might be a time when you want to avoid or at least tailor what you’re messaging is to a community that’s rallying around a tough situation," he says. Epstein says that despite Facebook’s huge user base, the company’s data on users still pales next to Google. "The Like is imperfect," he says. "The Like and the empathy button are really Facebook’s attempt to move closer to the strong signals that Google captures. "A user speaking keywords or typing them into a device is a much more intense signal than a Like or looking at a page of puppies and babies. Facebook wants to strengthen their user-intense signals to command the kind of pricing that search does." While cautioning that he had no inside knowledge of a Facebook empathy button, Max Kalehoff, CMO of SocialCode, a social media marketing firm, says having better emotion-based stats on users "could lead to better content and creative." Kalehoff says such data could help a marketer fine-tune a campaign or messaging. "If it became mainstream, it’s another data point to potentially drive more relevancy with content." When asked about new product tweaks, Facebook often replies that it’s testing new things all the time. So it’s worth pointing out that Facebook has explored alternatives to Likes in the past. For instance, today there are 13 status update options including "reading," "thinking" and "playing," but many people still don’t know they exist or ignore them. Schafer says that’s because Facebook users aren’t interested in talking about what they’re doing at any given moment, but rather how they feel. "It’s more of ‘Here’s what’s up. Here’s what’s going on,’ " Schafer says. As Zuckerberg said, that can apply to not-so-great moments, too. If an empathy button does prove popular, brands will have to do some soul-searching themselves to see how they feel about impinging on such moments.